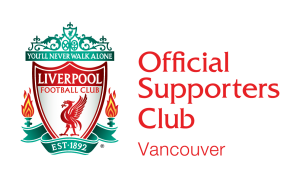 If you have bought your membership to LFC Vancouver during the summer, then you’ll be able to collect your memberships once the new season starts, from the Butcher & Bullock during the games. Membership cards will not be mailed out to people. LFC Vancouver Shirts – Order NOW! May 25, 2018 / Andrew McFee / Comments Off on LFC Vancouver Shirts – Order NOW! There’s the small matter of a European Cup Final ahead but that hasn’t stopped us from putting together a campaign on Teespring. Check out LFC Vancouver gear here – if enough people buy the gear, Teespring prints it and sends it to you. All payment and ordering is handled through them – a quick and easy way for us to get some quality gear into the hands of LFC fans in Vancouver. We’re pleased to announce that we have got limited edition Champions League Final commemorative scarves for every member of LFC Vancouver. You can get your scarf when you arrive at the Butcher & Bullock on Saturday at 9am.